Published: Aug. 18, 2013 at 08:44 p.m.
Indianapolis Colts QB Matt Hasselbeck is picked off by New York Giants cornerback Jayron Hosley. Published: Dec. 19, 2010 at 05:38 p.m.
(5:17) E.Manning pass short middle to M.Manningham to NYG 24 for 10 yards (J.Chaney) [T.Cole]. FUMBLES (J.Chaney), RECOVERED by PHI-M.Patterson at NYG 25. 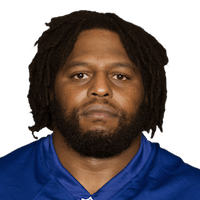 M.Patterson to NYG 25 for no gain (H.Nicks).